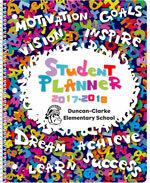 Design your own 2-color cover! 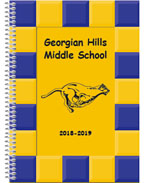 Display your school colors...choose the design and two ink colors and we'll change the colors and typestyles. 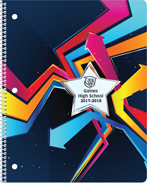 one for the starburst background. 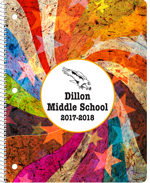 Design your own full-color cover! 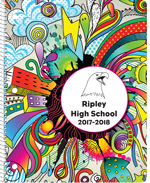 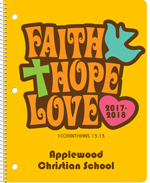 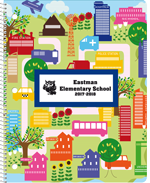 Include photos or drawings of your school, students, mascot, or school motto. 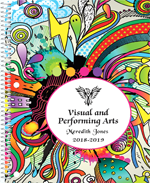 Please read Artwork Submission Guidelines before creating and submitting your artwork. 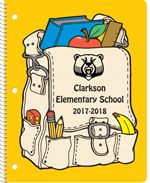 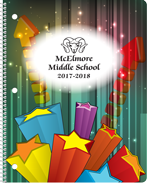 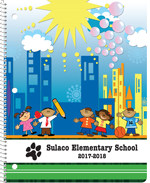 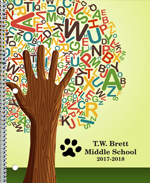 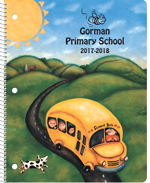 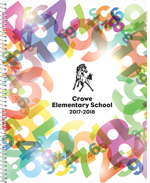 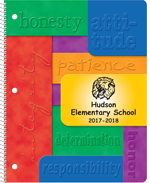 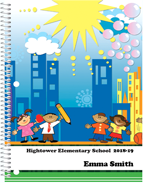 Add each student's name to the cover! 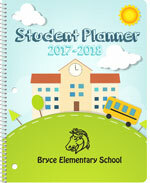 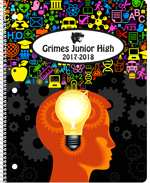 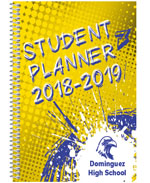 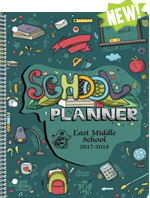 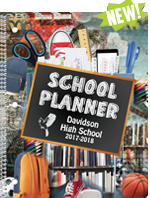 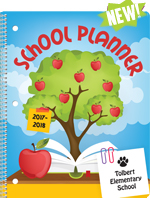 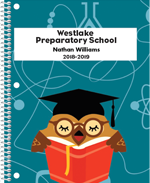 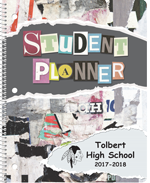 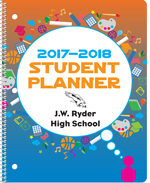 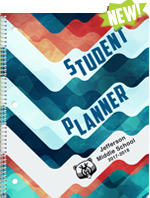 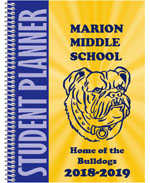 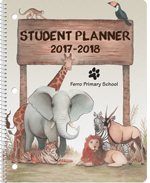 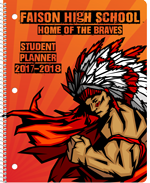 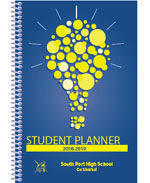 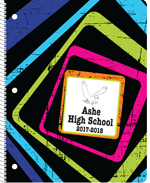 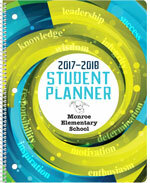 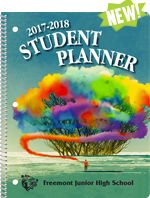 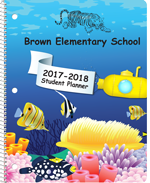 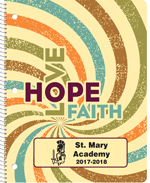 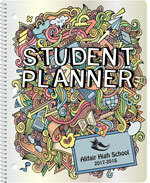 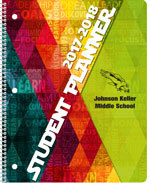 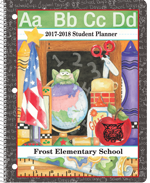 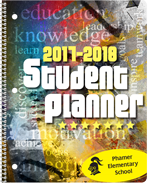 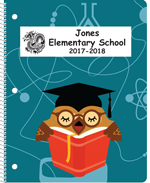 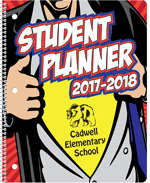 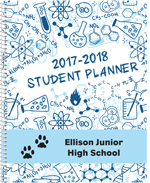 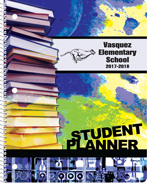 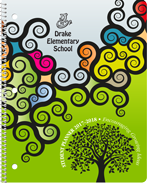 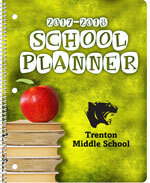 A new feature we are adding is the ability to add a student's name to one planner (one name per planner.) 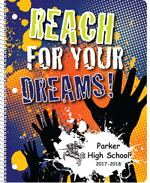 This will print on the cover along with the school name and mascot logo in the font of your choosing! 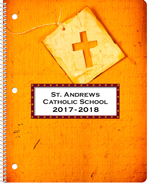 Student names must be submitted in Microsoft Excel format. 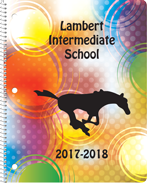 When ordering an imprintable cover, please provide desired wording and mascot information with the order. 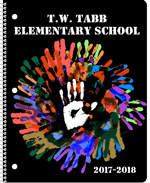 Artwork for stock design must be black and white line art and may be sent as a hard copy or emailed as a PDF file. 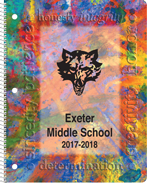 When providing custom cover art, please email your design in a high resolution PDF file or a TIF file saved in CMYK color mode. 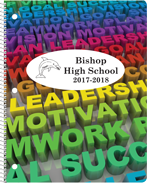 You can download the cover design template from the download page.